James and I did this recent interview over Skype when he was in Japan and I was in the Philippines. The photos of cherry blossoms and sports are his. When I was a kid I was fascinated with Japan and the code of the samurai. Later I did Japanese language at the University of Sheffield in the UK. In 1988, immediately after graduation, I joined the JET program, which was set up by the Japanese Ministry of Education to help students speak better English. I was dispatched to northern Japan, to Tajiri, a conservative, rural town of about 15,000 people, where I taught two years in a junior high school. Then for my third year I moved on to a senior high in Furukawa, a neighboring town of about 70,000 people. After that I taught English at an electronics company and also started translating specifications and business documents. That’s how I got into my current work of freelance translating—business documents, manuals, specifications, web pages, overseas development aid. I am fortunate to make a living by doing something I enjoy, and I find it rewarding to assist in Japan’s contribution to developing countries and the world environment. I’d come to Japan with images of samurai and studious, hard-working students. I found a place which without the Japanese signs would look like many Western countries. I was surprised to find a lot of lazy kids who were not very good at English and a lot of in-school bullying and violent incidents, with a big disparity between the kids getting good results and the kids just disrupting classes. I was hired to teach conversational English, but the students and parents were more concerned about the difficult, grammar-based exams to get into the good high schools or colleges. Conversation got swept under the carpet. During my third year I married a local Japanese lady, Hiroko, the eldest daughter of a farming home. We fell in love with each other, but when I asked her father for permission for us to marry he got very angry and threw me out of the house. This wasn’t a personal thing or an anti-foreigner thing. I think her parents were aghast at their daughter’s marrying someone who could take her away. Traditionally, the eldest child stays on to look after the parents, and I wasn’t a farmer who would take over the farm. It was a bit of a drama after that. We met each other in secret, and she ran away from home to marry me. When we were married, I committed myself to staying here and making a go of it. Then after our first child, Mari, was born we started to get on very well with her parents. We live nearby. We’re a long way away from any international school, so we’ve had to trust the Japanese public school system. The children had a good elementary school education in the basic subjects and also a healthy attention to subjects like art, music, moral education, local traditions, calligraphy and sewing. They spent twenty minutes each day in small groups for serving lunch in the classroom, clearing up, cleaning the classroom and corridors, watering the flowers, looking after the goldfish—nurturing a sense of responsibility and love for their surroundings. I enjoyed taking part in school events: the annual sports festival, parent-and-child classroom and grounds cleaning, monitoring the swimming, helping with the PTA newsletter, watching the children’s performances, school culture day and school bazaars. I’ve always been impressed by how the schools work together with the parents and local community. Having said that, recently it seems younger parents have been drifting away from PTA activities and community events. That’s a shame. Both of my children were taught to respect their elders, even students only one year above them, and look after the younger students. But they’ve been teased, being called “foreigner” or “half” (half-non-Japanese), but they’ve learned to ignore it. Thankfully it’s not been a big problem. There was a time when Jun, my son, was bullied in his elementary school soccer club. The kids on his team were getting him to bring money and buy them all stuff. They seemed to be picking on him because he wasn’t great at soccer. When the other parents found out I was calling the teachers about it, they were up in arms. They didn’t apologize or try to get to the bottom of it. They blamed me: “Oh, it’s because you don’t look after your kid’s money situation.” In an instant people we’d been friendly with for three or four years turned and really closed ranks. I don’t think it was a racially-based thing, more like the saying, “The nail that sticks out gets hammered down.” We were just supposed to admit there was fault on both sides and continue playing soccer, but I did an un-Japanese thing and pulled him out of the club. I think my son was just playing to please people anyway. Afterwards he joined an art club and made some real friends he could trust. He certainly respects himself more, and he’s finding himself more. But after that incident I stopped associating with those people and grew wary of committing to groups. On the whole, the kids enjoyed elementary school. Junior high school was more exam-oriented, and the club activities began in earnest. In junior high Mari was immersed in studying and softball club activities. She never missed a practice session or a game. There have been times when I’ve wished we could have done more as a family together, without commitments to the external group getting in the way. It took some time for me to accept that. Looking back, I think some of our best days were spent taking our daughter and her teammates to games and getting to know the other parents. I don’t think that time was wasted. I’m grateful for her experiences and the friendships she’s made—and my son is now making—and the public school system. Our son is now fourteen. I thought he’d do art club at junior high, but his sister said, “Don’t do it. Kids in art club get bullied.”So he’s playing volleyball. It’s good to see him turn up to practice and gain confidence as he gets stronger. Playing lots of sports and joining a club seems to keep kids out of trouble and give them a sense of teamwork, and I am again going to practice sessions and games. In my marriage it’s been difficult to take trips of my wife’s working commitments. She’s a civil servant in the town office. I’ve always found it strange that she’s entitled to twenty days’ holiday a year but rarely takes all of them because she doesn’t want to burden her coworkers. I have often argued, “Oh, come on! Which is more important, your work or me?” But things won’t change because I think they should. Cultural differences arise in numerous ways. Once after Hiroko had a minor car accident a Shinto priest had told her that it was because we felled some trees a few years earlier when we moved into our home. So when I wanted to cut down a tree in our garden, she opposed it on the grounds that it would upset the spirits and bring bad luck on the family. Many Japanese religious or spiritual beliefs and customs seem like superstitions to me, but I have learned not to judge and criticize what I don’t understand. When Hiroko’s grandmother died we had a funeral in the family home. So many relatives came from all over the country, and they needed to be housed and fed for three or four days. With Japanese funerals, a company comes and sets up a little altar and a coffin with the deceased person lying in a state of preparedness to be cremated. People pay their last respects and drink some tea or sake and talk about their memories. The Buddhist priest chants sutras and bestows a posthumous Buddhist name on the deceased, which apparently costs quite a lot of money. The guests help by handing over envelopes containing money. Entertaining all these guests is very tiring for the family concerned, but everybody takes it very seriously, even if the guests are distant relatives. Visiting the family grave two or three times each year and the frequent memorial services bring families together. When I first came, there was a bustling area around the railway station, but now the city center is hollowing out as the small traditional shops close down and the out-of-town supermarkets and stores open up. I hope Japanese small towns don’t lose too much of their identity, but I fear this may be inevitable. Japan seems to have an earthquake every day somewhere in the country. The big one in 2011 was on a Friday afternoon in mid-March. I was working and about to make some tea when it started off small and then grew very big. Jun and I escaped into the garden before things started flying around and falling on top of us. For a couple of minutes or more, the earth was moving like a ship on a really tempestuous sea. We were hanging onto each other, having trouble standing up. Inside the house was just totally trashed. Everything collapsed. Bookshelves were all over the place. The electricity was gone. Nearby the telegraph poles were all bent, and a lot of buildings had collapsed. The family managed to get to the evacuation center in a local school gym and spent the night there, but Mari was bothered by the lack of privacy, so we came home the next day and started tidying up. After that, we were queuing up in stores to get some supplies, living in the dark with the candles, waiting for the electricity to come on and listening to the radio for a week, wondering if it was safe to be at home with all the after-quakes because our house had been weakened quite a lot. It shakes more than before. For a couple of weeks after the quake there was a real sense of community and helpfulness in town. People were really considerate of each other, stopping them in the street to ask if everything was okay and sharing whatever they had with neighbors—food or batteries or loaves of bread. They didn’t take advantage or loot shops. I was really impressed with that. We thought we had it bad in our town, but gradually we found out that the cities and towns by the coast were much worse. Then came the explosions at the nuclear power plant in Fukushima. The British embassy sent buses around to bring its nationals home because of the nuclear thing, but that wasn’t an option for me with my family here. Then the electricity came back, and people’s lives started to get back to normal. I was able to do some volunteer work by the coast later on, and I saw people traveling up from Tokyo, spending days just getting there to do some helping. It’s been tough for a lot of people, but in general they’re resilient and just keep going without much overt complaint. On a sour note, there have been stories of confidence tricksters and unscrupulous builders tricking people out of their insurance payouts and government subsidies for rebuilding, but not many. The quake and the tsunami were a huge disaster, and the nuclear incident has really hampered the recovery. The nuclear power company has been dishonest and really irresponsible in the way it didn’t prepare for such a contingency and nearly abandoned the whole thing. We don’t know how much pollution is still coming out. I’m amazed at the way the Japanese just accept it and get on with life, whereas in other countries the citizenry would be up in arms and rioting. I sometimes wonder whether the Japanese acceptance and resilience in the face of disaster is healthy or merely a case of denial. 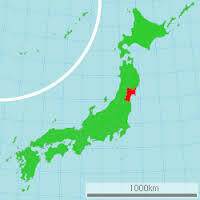 Mari now goes to college in Fukushima City. At first I wondered how we could let her study so close to the disaster zone, but I think we’ve come to terms with it and trust that radiation levels aren’t so high as to be a health hazard. In that sense, I have certainly become similar to the Japanese in accepting things as they are. Another example of that occurred just after the quake when we were queuing up at a store to get supplies and some young people ahead in the line were calling in their friends to join them, so the line was being pushed back. I was getting really angry about it. I wanted to tell the kids to stop doing that, but Hiroko was pulling me back and saying, “Don’t do it. Just leave it.” That was a cultural thing, not wanting to cause a confrontation. I decided to abide by her advice and keep my mouth shut. It turned out there was enough food in the store to go around anyway. There are times I love Japan and times when I hate it. I don’t know if that’s the way it is with everybody. Some days I wonder why children on the street still point fingers at me and say, “Oh, look. It’s a foreigner.” Japan has difficulty integrating foreigners into its society although it needs to, with an aging population and not enough younger people to support it. I think government makes it difficult for local governments and lower organizations to open up. It would help to have more relaxed immigration rules to make it easier for people to stay on longer. But there’s a fear about opening up to the outside world and letting non-Japanese or overseas people have any kind of positions of power in society. Certainly on the human, individual level people are friendly and welcoming and interested in conversing and finding out about each other, but just there’s so much regulation. I’m happy with the way my life has turned out. I’m grateful to have a family and to have brought my children up in Japan, where they have good friendships and prospects for the future. It’s been interesting to live in a foreign country and experience so many cultural differences and challenges. I think the key to doing that has been willingness to behave like the Japanese, but I’ve also needed to retain my own values and remember that home is where I make it. That seems to be the ongoing challenge of living in rural Japan.